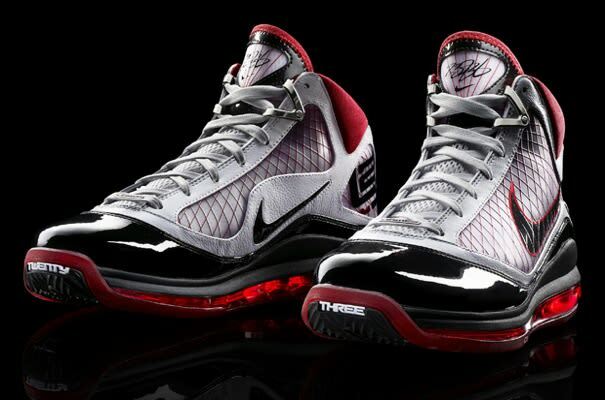 • LeBron James' seventh signature sneaker, the Nike Air Max LeBron VII, was groudbreaking from a technological perspective, and it looked great. It was the first sneaker in the young king's extensive collection to possess Nike's innovative Flywire technology. The LeBron VII was also the first sneaker in his line to contain a full-length, 360 Max Air sole. Throughout the 2009-2010 NBA season, LeBron and Nike debuted over 20 colorways of this sneaker.